This past weekend, I attended the Los Angeles Times Festival of Books. It’s by far the biggest book fair in the country, showcasing the works of wordsmiths from around the USA and the world. For two days each spring, it overtakes the entire campus of the University of Southern California. As a literary agent, I enjoy the networking opportunities there. This year, for the first time, I also attended the annual book prizes ceremony that takes place the night before. Recent years have seen a growing demand for diversity in our business, and I was delighted at what I found: The field of nominees, and of winners, was about as diverse as anyone could ask: They were male and female, young and old, gay and straight. White, black, Latino, Chinese, and Pakistani. Jewish, Christian, Muslim, and probably more. Seeing as I don’t possess the requisite vantage point, I won’t attempt to speak for the industry as a whole. But in this place, for this moment in time, today in Los Angeles, we’ve made visible progress. Still, something unspoken nagged at me. Something was amiss. As I headed out to the post-ceremony reception, it hit me: Early on (like the Academy Awards), the program became political. A handful of Times executives rose to speak, and made their views known. Similarly, in their acceptance speeches, many of the winners followed suit. No doubt, we celebrated diversity that evening. Diversity of gender, race, age, religion, and sexual orientation. But diversity of thought, or of worldview? Nowhere in sight. Almost every opinion expressed from the podium that night was one-sidedly partisan. Positively monolithic, and uniformly liberal. Don’t get me wrong: I’m not the kind of guy who needs to win every argument. We can vote for different candidates, and still be friends. Still, I thought that we were gathered to celebrate literary achievement. (At least, that’s what it said on my invitation.) I thought we were there to recognize excellent writing and noteworthy stories. Silly me. Could it really be that good writing is entirely absent from the other side of the aisle? Back in the 1970s, the city schools here in Los Angeles attempted to compel diversity (we called it “integration”) by bussing black kids to white schools, and white kids to black schools. But this “diversity” was not intended as an end unto itself. The idea was that we could learn from one another, build bridges of understanding, and overcome the hostilities of the past. If only we could meet. As a student I was absolutely on board with the end, even as I disagreed with the means. 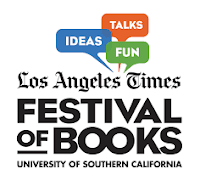 In a market that (by some accounts) produced about a million titles last year, I don’t envy the task of the judges for the L.A. Times Book Prizes. Where would I even begin, just to produce a longlist from which a decent slate of nominees might be gleaned? Surely I have my own biases, my own blindspots that would inform my choices. Still, in my saner moments, I want to hear the other side. And I want them to hear me. If only we could meet. Anything short of this, methinks, is little more than political posturing under false pretenses. And that’s not why we (said that we) came. I would be proud to see my authors nominated for one of these awards. I only hope that they can be judged for the quality of their writing, and not some unspoken test of political orthodoxy. A side note: Are we (as has been alleged) a racist industry? Do we systematically marginalize people of color? Again, I can only speak for myself. I receive about 500 submissions each month. From this number I might accept one, which means that I say no about 16 times a day. Some of these rejections bring angry responses, including the occasional allegation of racism. The thing is, I rarely know the race of these writers, so I couldn’t make it a factor in my decision if I wanted to. (One author named Takahashi, turned out to be Serbian.) I read the words on the page, and either they impress or they don’t. Either the author brings boffo platform, or she doesn’t. I know what publishers expect from me, and it’s not in my power to manufacture what isn’t there.